We have free printable business certificates such as Certificate of Administrative Professional, Achievement, Employee of Month, Etc. for your business that you can use to recognize employees, customers, coworkers…with an business award of a job well done. Yes. The most frequent complaints by employees are in regard to lack of recognition. In survey after survey those in the workforce state that they value employee recognition even over pay increases. This is not surprising as two of our most basic needs are appreciation and recognition. Doing something as simple as printing employee awards/certificates for those on your team can go a long way toward boosting morale and lifting spirits. Customizing and printing employee awards and training award certificates doesn’t take but a few minutes. Simply download, click, type and print and your full-color, personalized employee recognition certificates are ready to present. 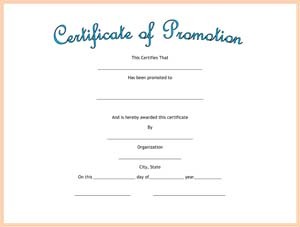 The Certificate of Completion can be used if the employer wants to show appreciation to the employee for completing training, etc. Certificates are sometimes hard to come by. I know how long it takes to make them and I also know if you look online they always want to charge you for them. So I’m paying-it-forward and giving you what certificates I have for free and I will be creating more certificates as time goes on. Enjoy! More and more employers are having a hard time keeping good employees. Couldn’t we all stand to improve on giving our employees an incentive to stay with our business? Finding a way to show employee recognition can sometimes be an overwhelming task. There are several ways to show appreciation, one of them being just simply giving them an award that you can find below. The Employee of the Month Award is a popular one to have available. I have two of these awards below to download. You will find lots of free printable certificates for different areas of your business with immediate access to download and print and hand to your employee(s)…for the great job they have done for your company.